Storia had a convenient location next to our apartments in Dubrovnik. On this narrow street, there was Storia which is an Italian restaurant and next door to it was a restaurant specialising in fish. We were quite a big group so we weren’t sure whether to split up and dine in the separate restaurants due to everyone’s different preferences. As we were going between the two restaurants and looking at the menus, one of the staff from Storia came out. He told us that if we wanted Italian food then we should come to his restaurant but if we wanted fish, then the restaurant next door is the one to go to. We asked if it would be possible to put the tables together and order food from the two different restaurants. The waiter was so accommodating and friendly and told us that it would be no problem at all. He said that the staff at the restaurant next door (the fish one) were his friends and so he could do that for us. It’s very rare to find restaurants recommending each other, especially when they are in such close proximity. It was really refreshing to have such a situation where the restaurants were working together and helping each other out. The outdoor seating area was big wooden cushioned benches. 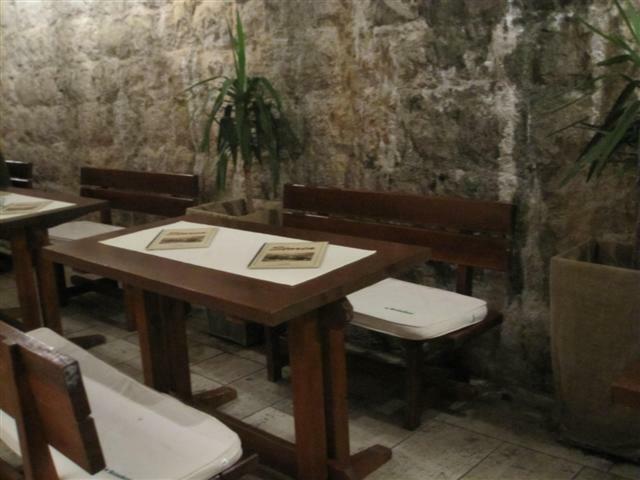 There was also an indoor dining area but on a warm night, we were fine dining outdoors. The vegetable risotto was not a creamy risotto. 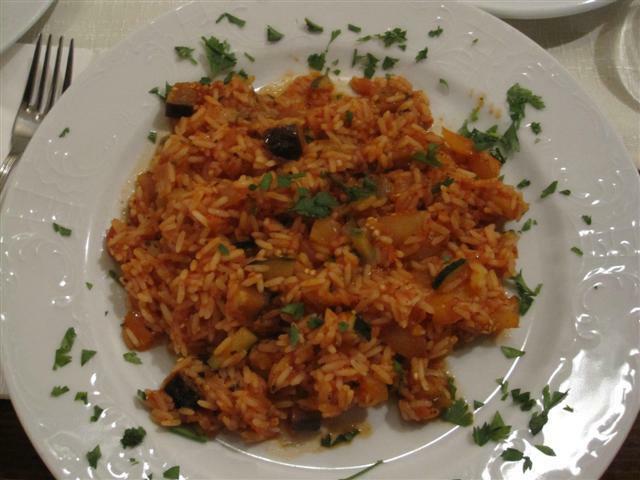 It was tomato based with chopped vegetables and garnished with parsley. The rice was quite separate and seemed like it was long grain rice rather than risotto rice. Although the menu stated that it was a risotto, it was more like a vegetable rice dish. Saying that though, it had a nice flavour. It wasn’t a huge portion; just the right size for myself. 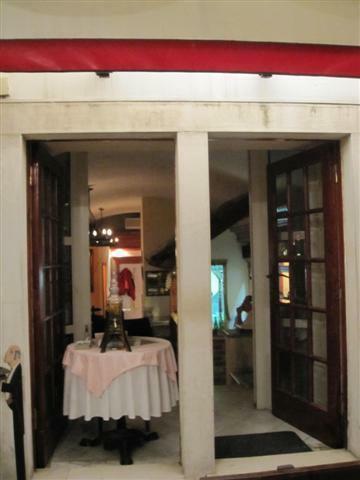 Storia was a nice enough Italian restaurant which provided us with good service and friendly staff.